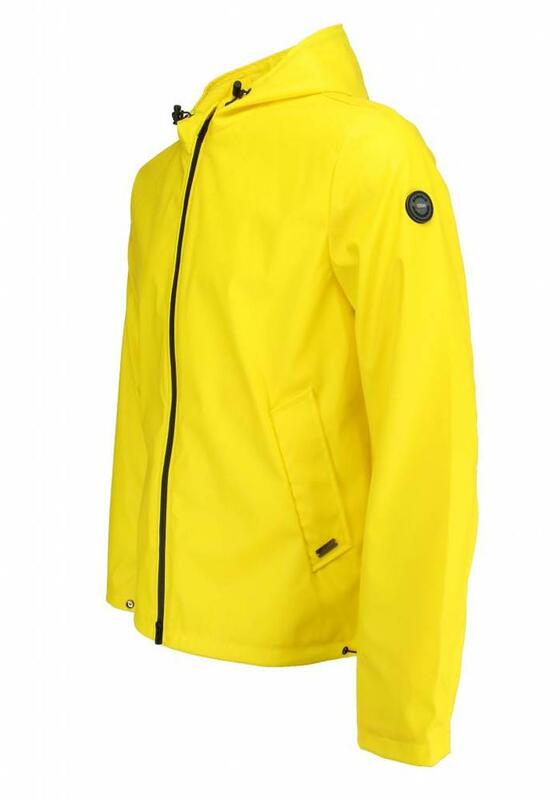 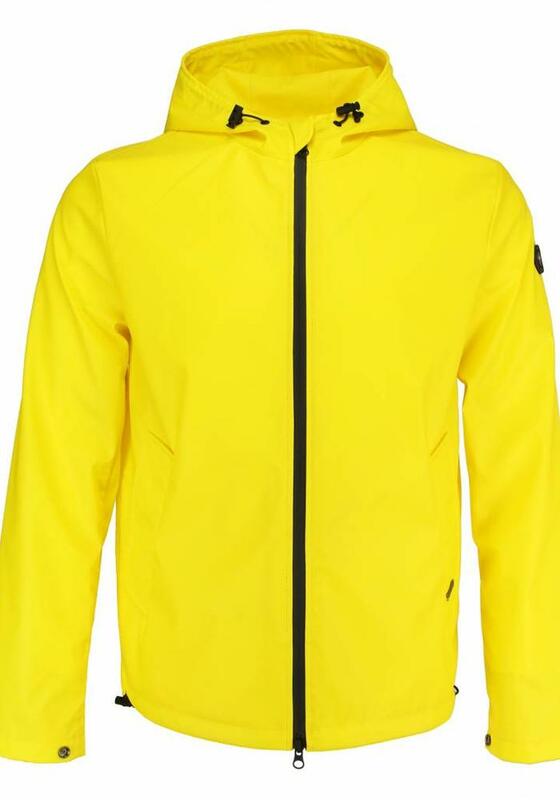 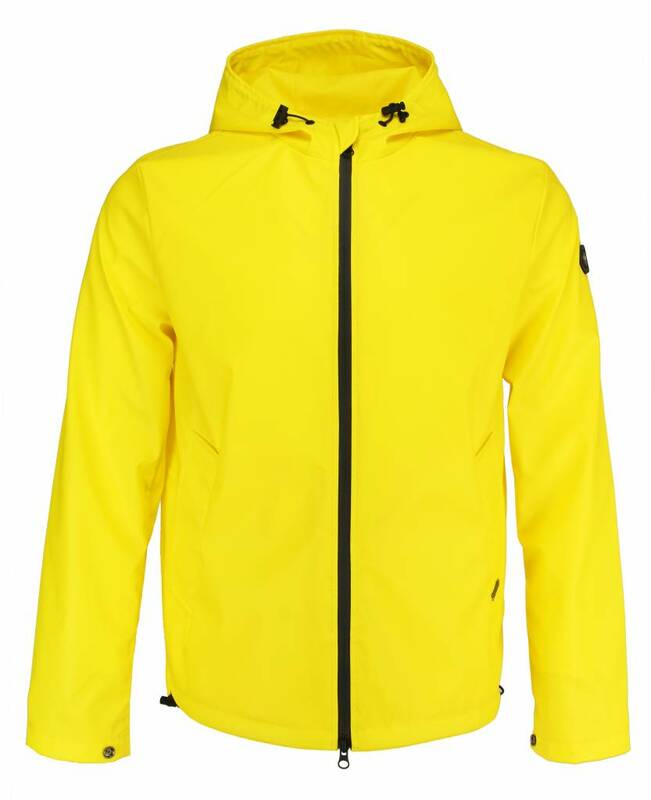 Yellow rain jacket from the brand Daniele Alessandrini. 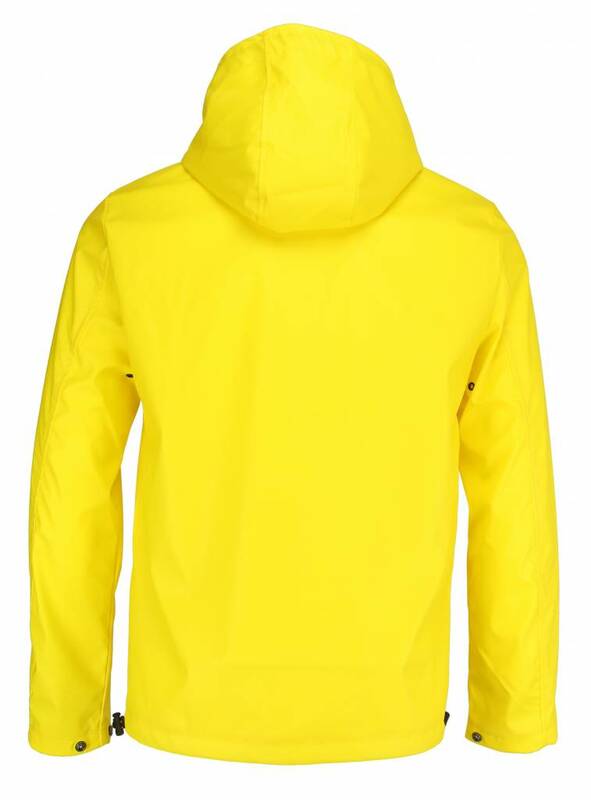 With this yellow raincoat you stay nice and dry when the weather let's us down again. But even without rain you can wear this jacket. 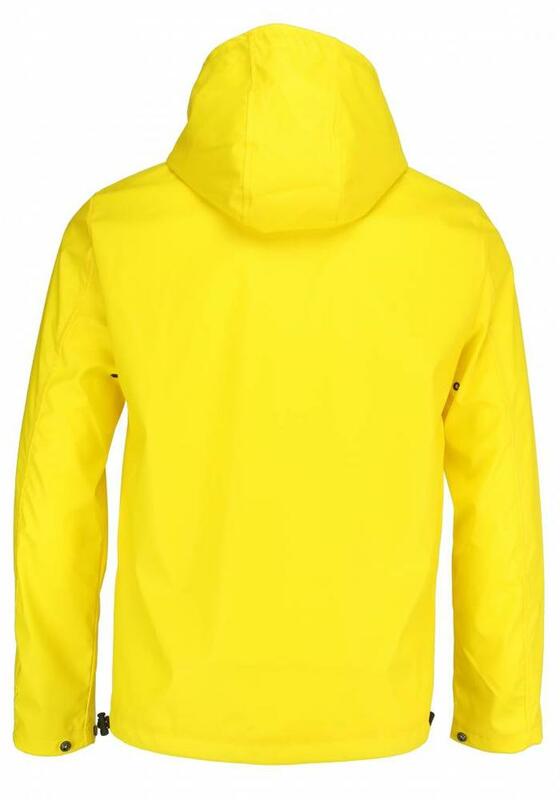 This men's raincoat has a hood with elastic drawcords, which are also at the bottom of the jacket. The sleeves have a button closure that makes them slightly tighter so rain/wind can't come in so easily. 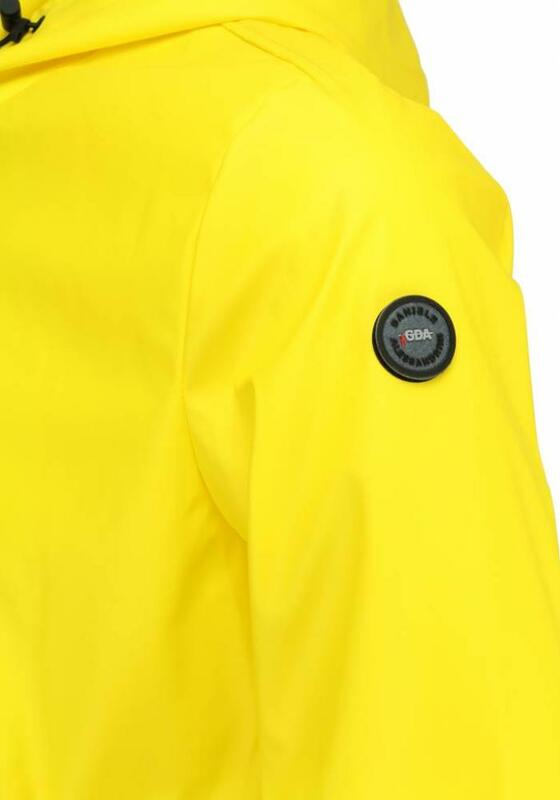 On the front of the raincoat are two pockets and on the inside an extra pocket for your mobile.